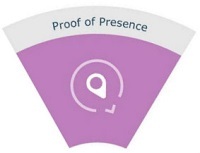 MyTAG Proof of Presence provides trusted proof that a person was at a given location at specific times, allowing proof of servicing times, security patrols, visit periods and other time/location-based events. An efficient and effective solution for managing services, MyTAG allows you to demonstrate professionalism and compliance as well as saving you time and money. MyTAG Trusted® Tags are installed as checkpoints at key building locations, or on fixed assets. and each tag is activated with the tap of a low cost Near Field Communication (NFC) device. This simple tap is all that the person needs to deliver trusted proof of presence at a given checkpoint. If a report is required, a proprietary application can be engaged on the mobile device, providing immediate feedback to the offsite team or control room, via photo, video or text entries. This allows action to be taken quickly, whatever the issue. Check out our asset tracking and key management software for better automation in your business. MyTag Trusted® Tags are patented and unclonable (unlike bar codes and QR codes), so proof of presence and proof of service is guaranteed, using NFC and Global Positioning System (GPS) technology, allowing you to demonstrate full compliance with servicing commitments. Legal, warranty and contractual obligations can be proven, whether they relate to buildings or their assets, and whether they are carried out by employees or contractors. MyTAG replaces time consuming manual and paper-based systems, with a quick and easy to use electronic one. Verifiable proof of servicing times means contractors are only paid for the work carried out and ensures the correct servicing frequencies. Lone worker is not just an employee in a remote area, but a night shift staff, delivery person, a repair staff or even cleaners could be considered lone workers. MyTAG Lone Worker provides reassurance to employees that they are working in a safe and secure environment, where someone is always aware of their whereabouts and scheduled return time. This supports individual motivation, retention and recruitment as well as the reputation of the company as a caring employer. You can use our asset tracking and key management software to track your equipment as well as the lone workers. The MyTAG dashboard allows you to access real time and historical information from wherever you are. This allows a quick response to any issues, and an instant overview of current activities. Show the professionalism and efficiency of your services with trusted proof of presence. With over 20 years of experience, Authenticate group (including Ecardz Ltd, Authenticate Ltd and Boink Hub) deliver tools for smarter business. What is Pay as You Throw (PAYT) for waste management? Auckland Office: Level 27, PwC building, 188 Quay St, Auckland. Authenticate Ltd has an overal satisfaction rating of 4.8 out of 5 based on 7 paying customer review and rating. To get a clear idea of how it works, book a free online demo today.